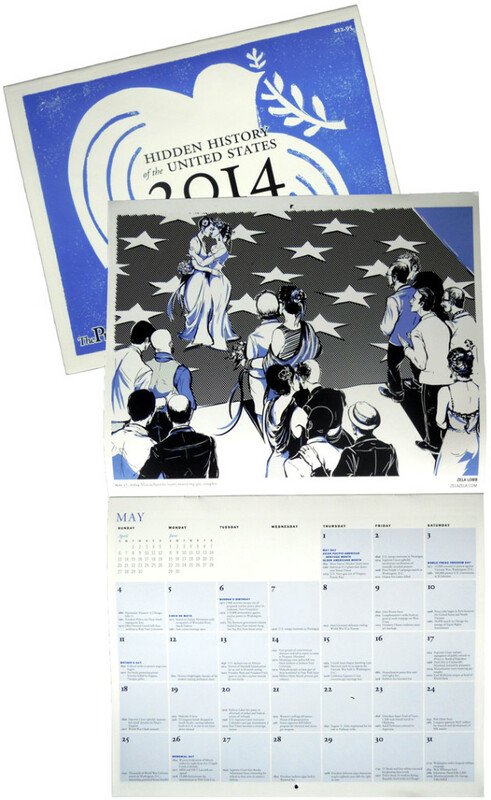 Illustration for The Progressive’s 2014 Hidden History of The United States calendar. 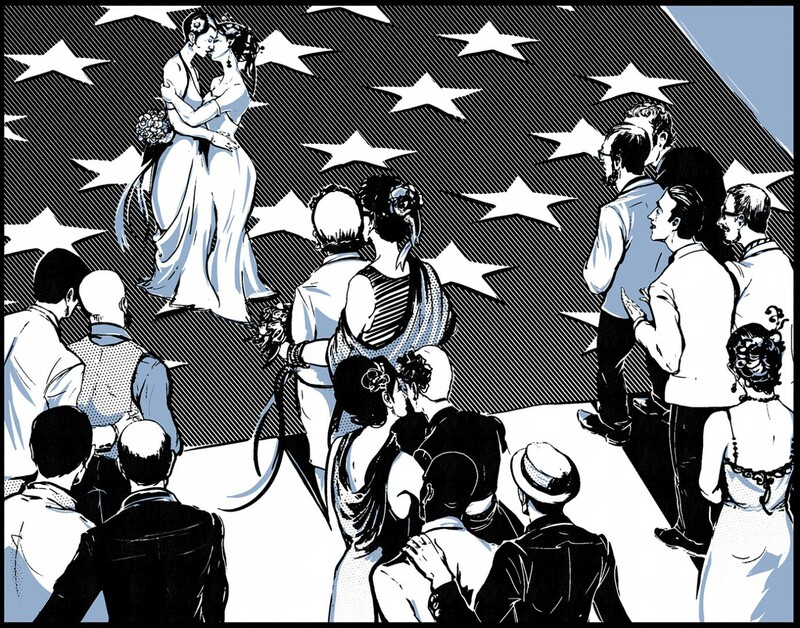 May; The right to marry in Massachusetts. 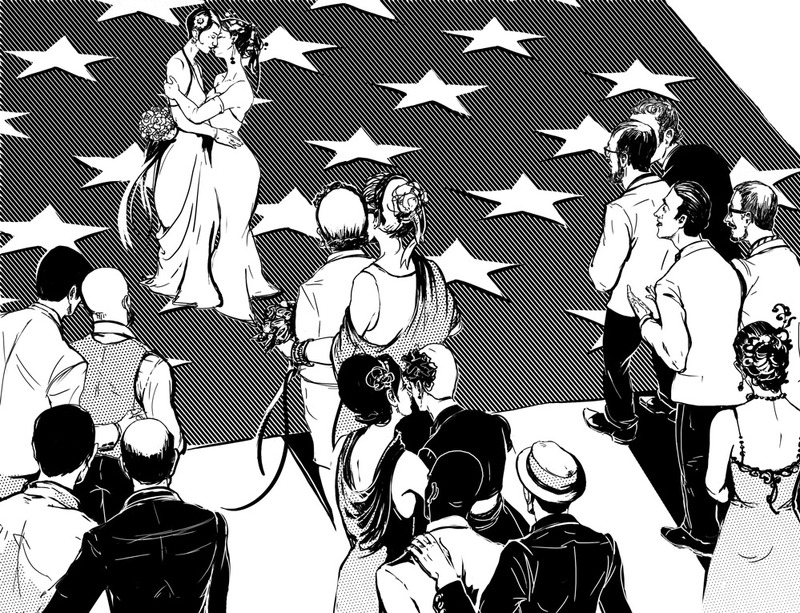 I drew the couples lined up on the flag stripes. 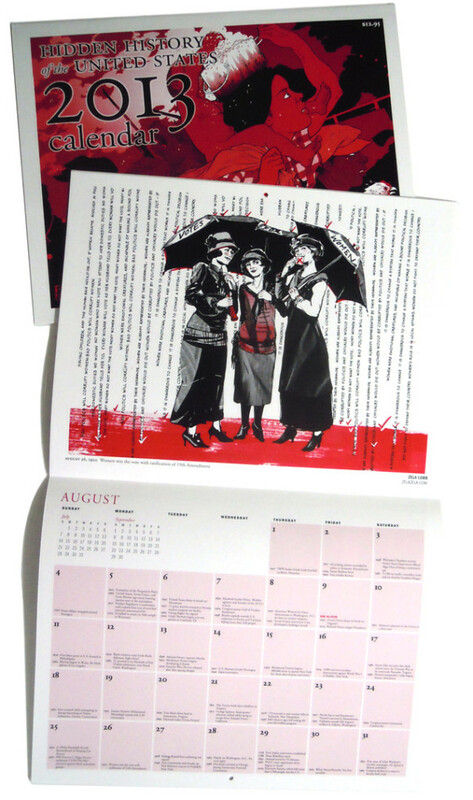 In 2013 I had the chance to illustrate women demonstrating for the right to vote. 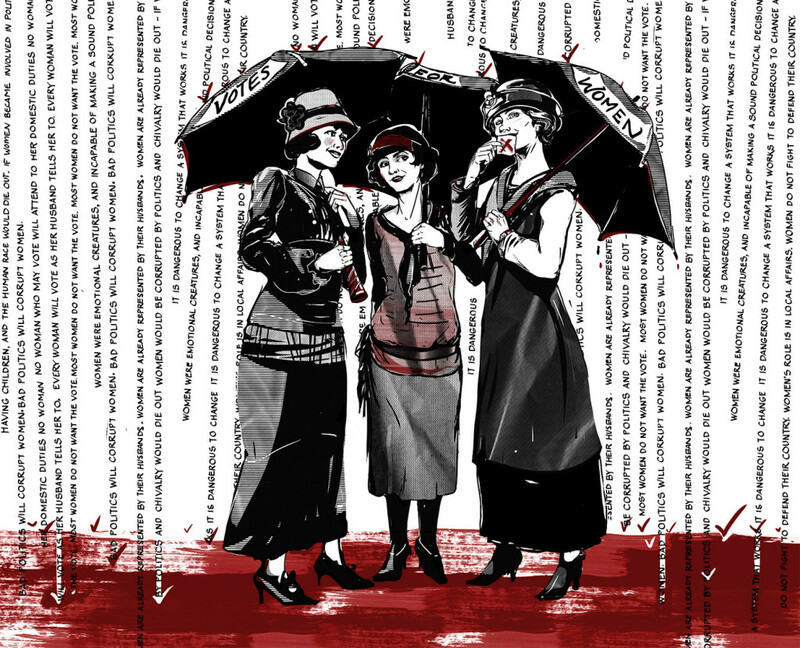 With all the nasty reasons women where withheld the right to vote written in rain around them.